For over thirty five years our family-run business has worked across countless homes, ensuring that the smallest details are taken into consideration. Our value is in our finish. 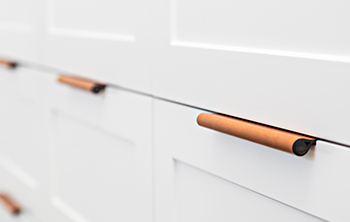 Our quality control is impeccable and we will often remake or amend items to ensure the kitchen that we install, whether it is large or small, is perfect. We refuse to cut corners. Take a look through our previous work. 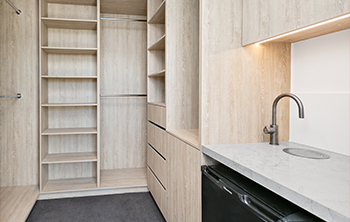 From kitchens right through to bathrooms and custom cabinetry. 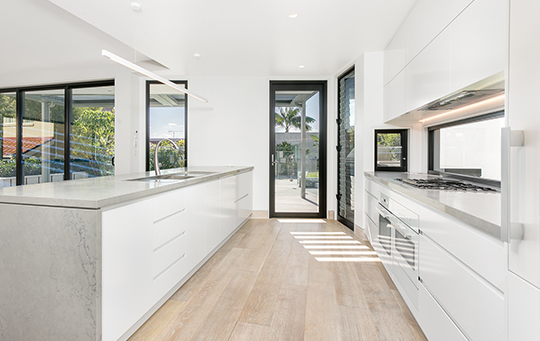 At Total Kitchens with over 20 years’ experience and knowledge, we explore all possibility to meet and exceed your expectations from impeccable design, to fabrication and installation. 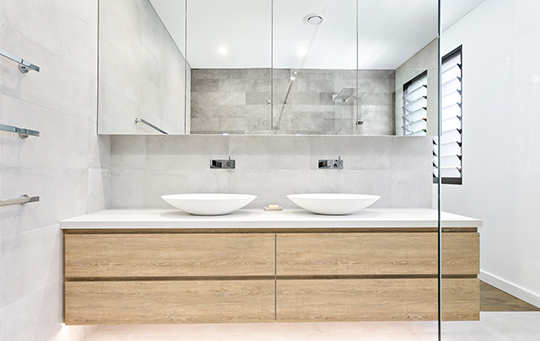 Custom Vanities and shaving cabinets are what finishes off a beautiful bathroom renovation. From floor mounted to wall hung vanities with high quality hardware will ensure your bathroom will look fabulous for years to come. Traditionally a room that has always been overlooked is the laundry. Having a well organised laundry that functions and looks the part always makes a great impression and can be a well utilized space. Luxury full Carcass wardrobes is what we do best. 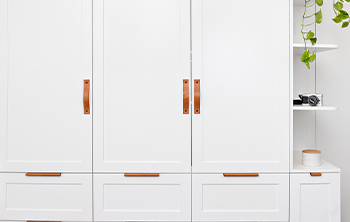 From Classic Hamptons to Modern slick, Walk in Robes and Linen cabinets. We have designed and supplied customers all over Sydney through sourcing unique materials to fabricate custom furniture according to your design needs.